The Stator Assembly Lifting Arm has been manufactured for a major international OEM based in Lincoln. Design and manufacture a PT1 Stator Assembly Lifting Arm to customer specifications. 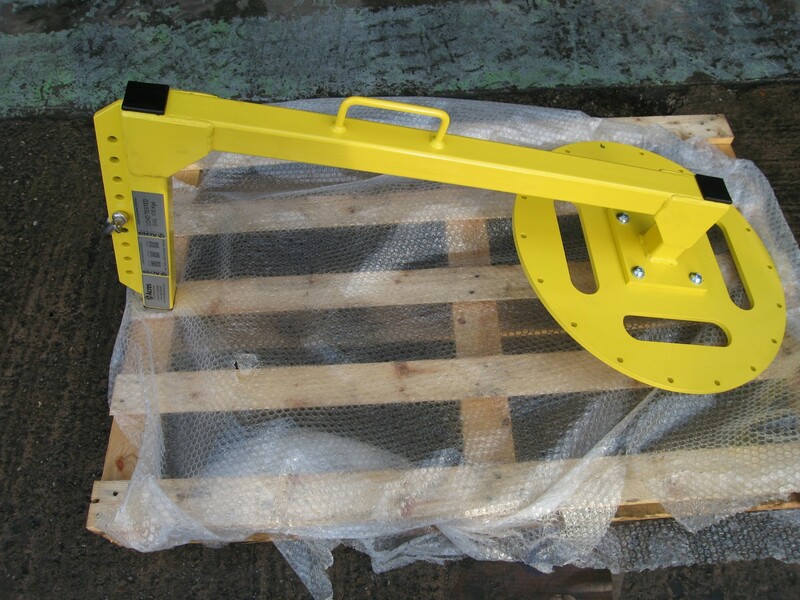 The lifting arm frame is made from 50mm x 50mm x 3mm square hollow section with black plastic end caps. The frame is reinforced with laser cut gussets and fitted with a handle allowing manipulation of the assembly. The frame has an adjustable connecting arm which is secured in place by a heavy duty shackle. The stator connection plate is made from laser cut steel and is securely bolted to the frame. To give a high quality durable finish the assembly has been powder coated in Yellow BS4800. At the customer’s request the unit has been load tested and rated for a safe working load of 170kg.